Please be aware that coverage cannot be ordered or bound via email, fax, or voice mail. Insurance coverage cannot be bound without a written binder from our office. The below listed service request forms allow our representatives to be fully prepared when they talk with you, saving you time and effort. 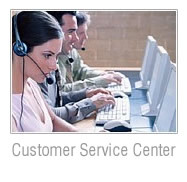 File a Claim - when filing claims, our insurance customer service center strives to make it easy, from start to finish. And our customer service representatives are always happy to help. Change Customer Information - learn how simple it is to change important information like your address, beneficiary or request auto id cards. Make a Payment - it's fast and easy to make your payment right online. Contact Customer Service - want to speak with us directly? Contact us here.